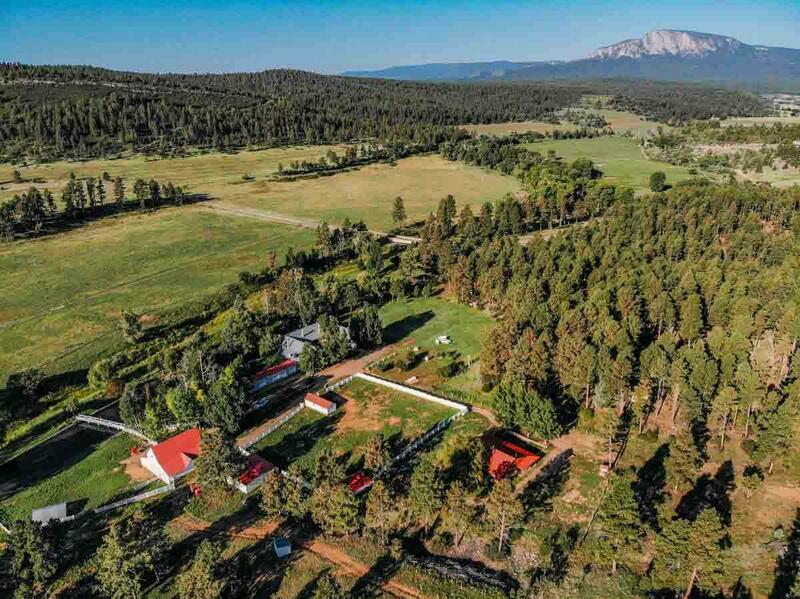 Located 3 miles west of the Village of Sapello, NM on Highway 266 and about 15 miles northwest of Las Vegas, NM, this is one of the finest recreational ranches available in Northern New Mexico. 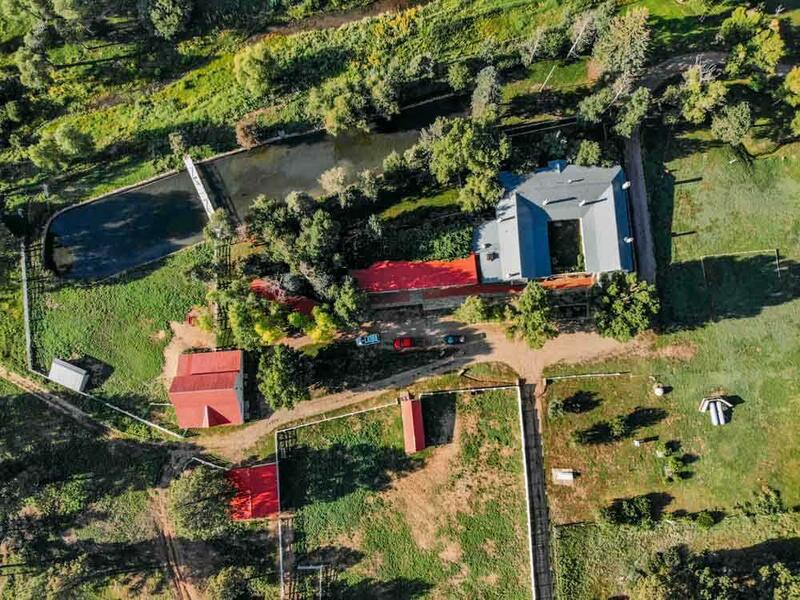 This fully fenced and gated ranch consists of a large historic adobe hacienda situated next to the Sapello River surrounded by extensive flower gardens and verdant landscaping, a quaint log guesthouse, a ranch managers quarters, several barns and outbuildings, a shop and garages. The original structure that is now the main house is believed to have been built in the 1860s and was converted to a 4 bedroom/3 bathroom residence in the early 1900s. Today the double/triple adobe 6000 SF structure features a dining room, a living room with a wood-burning rock fireplace, den, hacienda style interior courtyard, a large, covered portal and detached 4 car garage. There are wood floors throughout and the master suite contains a fireplace and over-sized dressing room. 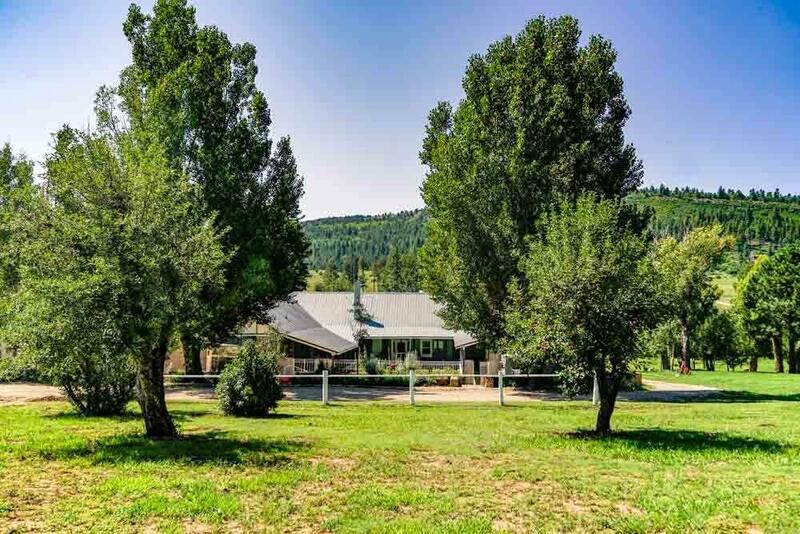 The ranch consists of 558 deeded acres of pine covered land including 100 acres of pasture and irrigated hayfields, with some mineral rights and water rights. The water rights consist of eight shares in the Las Tusas Acequia Ditch Association, (providing eight 24 hour irrigation periods during summer months) for the irrigated portion. The property also has of a mile of the Sapello River flowing thru it. 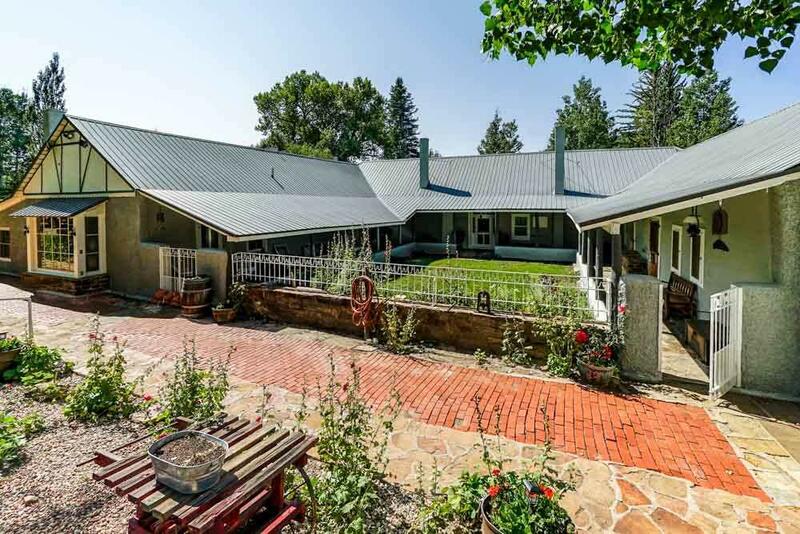 Situated at 7,100 to 7,400 ft. elevation in the eastern foothills of the Sangre De Cristo mountain range.